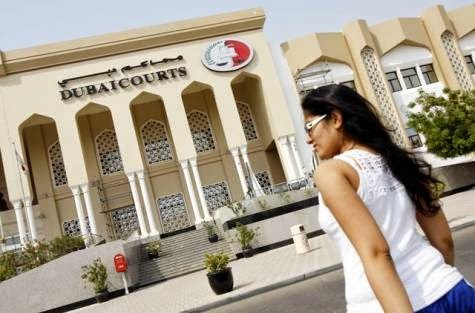 A maid in Dubai has been jailed for life after attempting to kill the children of her employer whom she said maltreated her and seized her passport, refusing to let her leave. The 25-year old Ethiopian woman waited till her boss travelled, then she poured boiling water on the children, and stabbed them repeatedly. The children were asleep at the time of the attack, but woke up and escaped into the bathroom to save their lives. According to reports, prosecutors said that the maid admitted the attack was an act of revenge for being mistreated and deprived of food. She said that she had planned the crime because her sponsor, L A, a 42-year-old teacher, often accused her of theft and refused to send her back home claiming that her passport was missing. At 7am on April 11, while the mother was out of the country, YS poured boiling water on the children – girls A A, 15, and R A, 14, and boy K A, 10 – who were sleeping.She then stabbed them repeatedly with a meat cleaver and a knife. My sister and I were sleeping on one bed while our brother was sleeping on a mattress. Around 7am I felt some boiling water splashing on my face... I woke up shocked and saw the defendant. She held a boiler and a cleaver in her hands. She stabbed me repeatedly in my face, and then she attacked my sister and then my brother. We escaped and locked ourselves inside the washroom, then called the police. The maid then went to the mother’s room to take her passport, which was hidden in a drawer, and also took some of the woman's money in the process. An Emirati policeman said that they went to Al Warqa 2 after receiving the report of the incident and had to break down the flat’s door when no one answered. He said the children were frightened to open the bathroom door, but did so when they knew it was police. The children were rushed to Rashid Hospital and police said they found the maid sitting on the floor of the flat’s balcony with blood stains on her clothes and the weapons in her hands, as well as the passport and money. She is then alleged to have tried to slit her own throat before surrendering to police when they raised their guns. The convict was charged with a triple murder attempt, double suicide attempt and theft. She will be deported following the completion of her punishment.